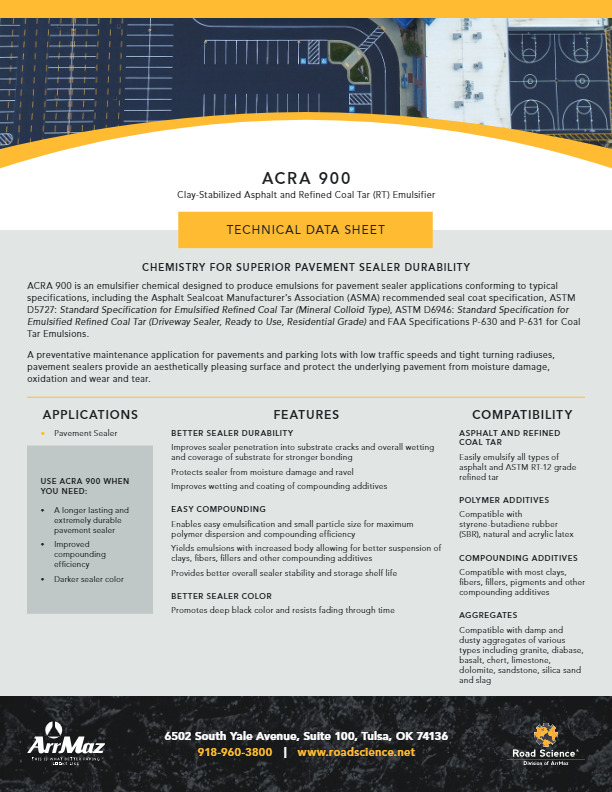 Clay stabilized emulsions are used primarily for making pavement sealers. These emulsions can be made of asphalt or refined coal tar (RT) which functions as the binder in the sealer. Pavement sealers are applied to parking lots and low traffic roads to protect the underlying pavement from aging and deterioration caused by water, sunlight, and leaked oil and gasoline. They also improve the aesthetics of the surface by providing a deep black color that gives the pavement a new and uniform look. 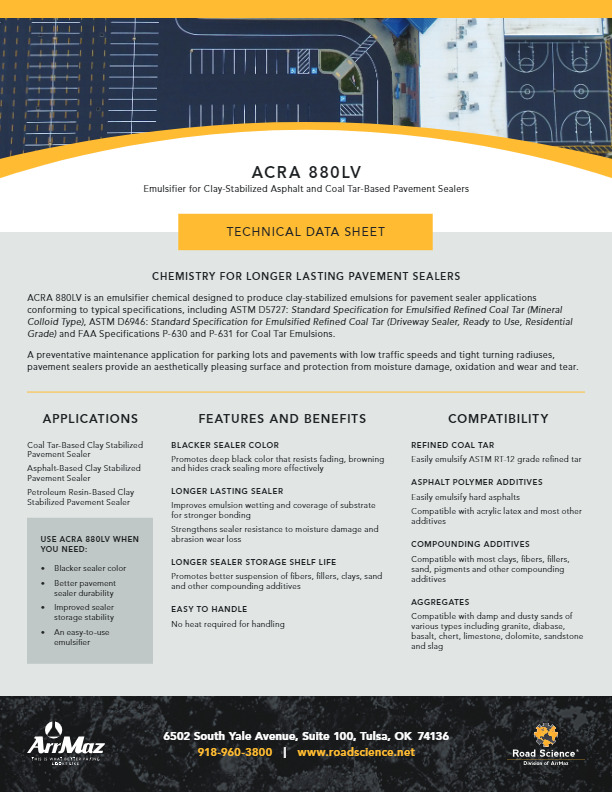 A challenge in the industry is to meet the increasing demands of property owners and engineers to provide better-performing sealers that dry faster and last longer. These key performance characteristics are influenced by the emulsifier chosen. 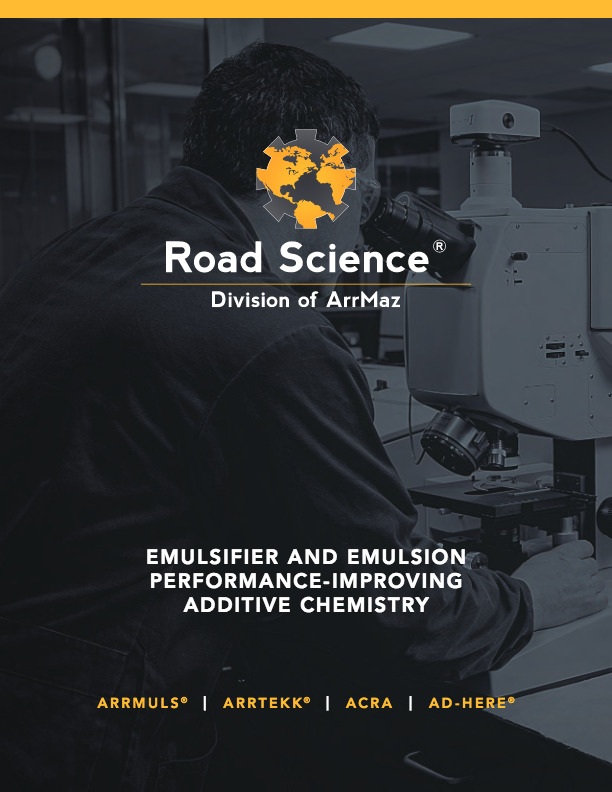 Road Science understands industry needs and the emulsifier properties needed to drive performance. 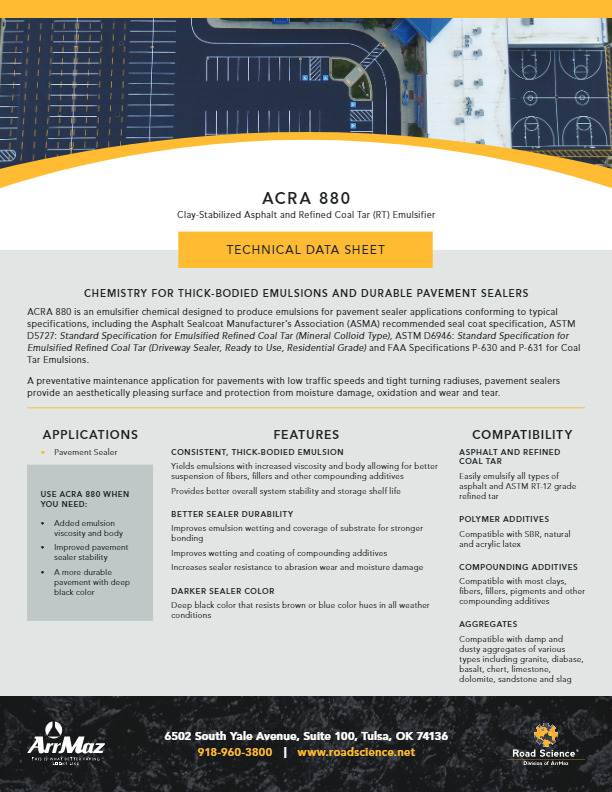 Road Science’s ACRA line of emulsifiers is based on unique emulsifier chemistry that provides faster sealer drying and curing times, maximum abrasion wear resistance and stronger bonding to the pavement substrate. 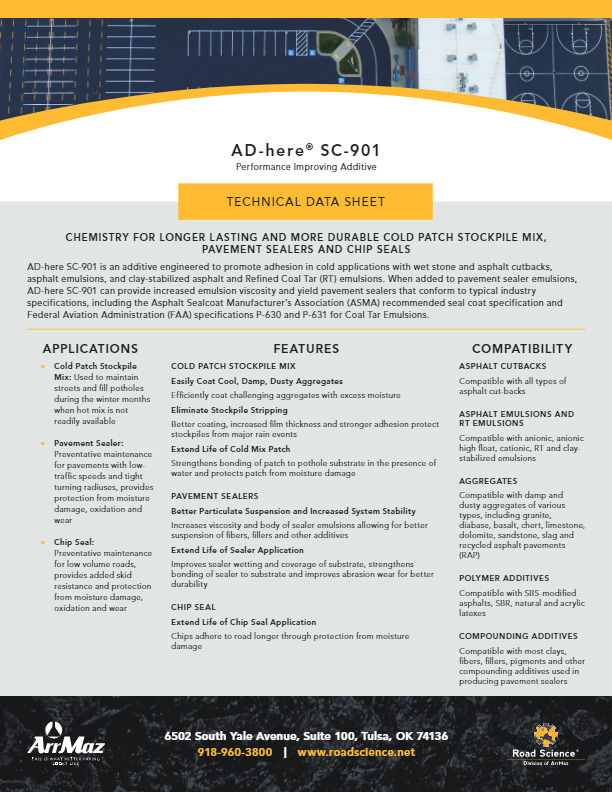 These performance characteristics improve sealer life by enabling our customers to differentiate themselves from competing pavement sealer products.